LIL MOSEY – Sold Out ! 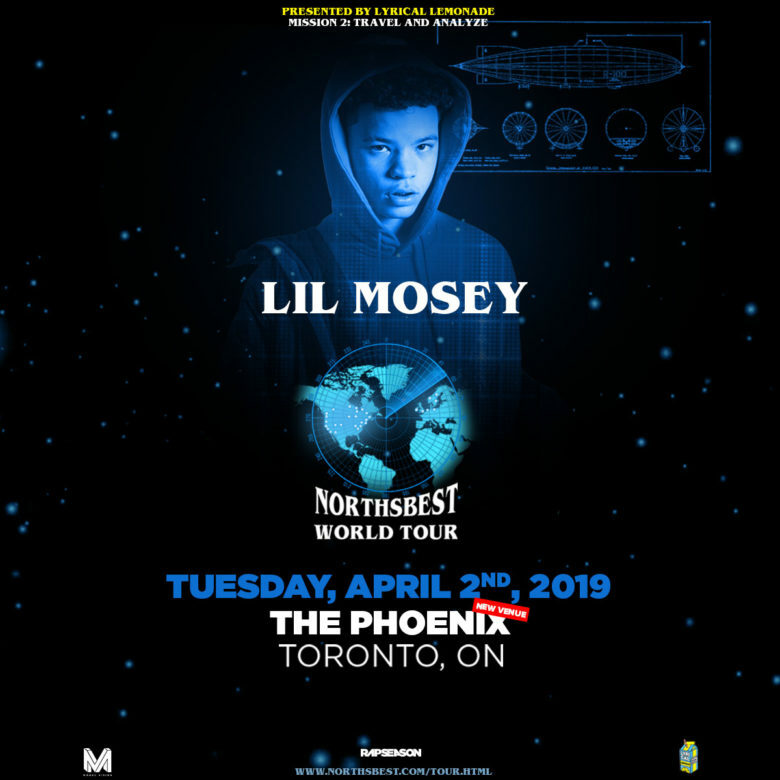 Due to overwhelming demand the Lil Mosey show scheduled for April 2nd @ The Mod Club is being moved to The Phoenix Concert Theatre (same date). Tickets purchased for The Mod Club will be honoured at the new venue. A new batch of tickets are on sale now at Ticketweb.